For those of you that have worked in more than one company, then you would know that each of them has their own specific policies and procedures. With these policies and procedures, a company can ensure that both managers and employees understand what needs to be done in order for the business to function properly. However, there will come a time wherein these policies and procedures are going to have to change, or when new ones have to be added. So when that happens, a business owner is going to have to make use of policy templates in order to draft and finalize the new rules and regulations that should be implemented in the business. Considering that social media is used by just about every person nowadays, it’s important that organizations learn how to protect their online presence. This is the reason why they have to create an efficient social media policy that will help protect their brand while making sure that employees responsibly share the message of their company. Since social media constantly updates, then so should a company’s social media policy. It doesn’t have to be really long, but just enough to get the point across to the company’s managers and employees. So basically, the main goal of the social media policy is to provide employees with straightforward guidelines that they can easily follow. It will help protect your company’s reputation. By clearly explaining to your employees how to behave online, then you can mitigate any threats to your company. So by sharing your policy with your employees, you can tell them what information they can share and what they shouldn’t. Also, with a very good social media policy, you can also explain to your employees what action should be taken in the event that they make a mistake that might damage the company’s reputation or if the company is being attacked by someone through the use of social media. Defend against any sort of legal trouble and social risks. Social media policies can help protect your company against any potential legal trouble or security risks by being able to outline these treats as well as provide ways to avoid them. Your policy also explains to the employee how he or she should act in the event that the company falls prey to a malicious attack. It empowers employees to share company messaging. Social media policies can be tremendously helpful when it comes to amplifying your brand. With clear guidelines, you’ll be able to help your employees understand how to use social media to promote your company’s brand. So you have to make sure that your social media policy is able to outline the best practices for sharing company content, as well as make sure that employees behave properly online. By having your employees share company messaging with pre-approved social media content, it can help reduce risks to your company as well as ensure that everything being shared is accurate and on-brand. Rules and regulations. This part should outline your company’s expectations on how the employees should behave when it comes to posting about anything related to the company online. A good example of a rule that protects the company is by having employees not make any negative comments when posting about the company. Other examples of good rules and regulations would be making sure that the employees know how to respond to any posts mentioning your company, how the employees should talk about your company’s products, and defining what employees can share on social media. Roles and responsibilities. 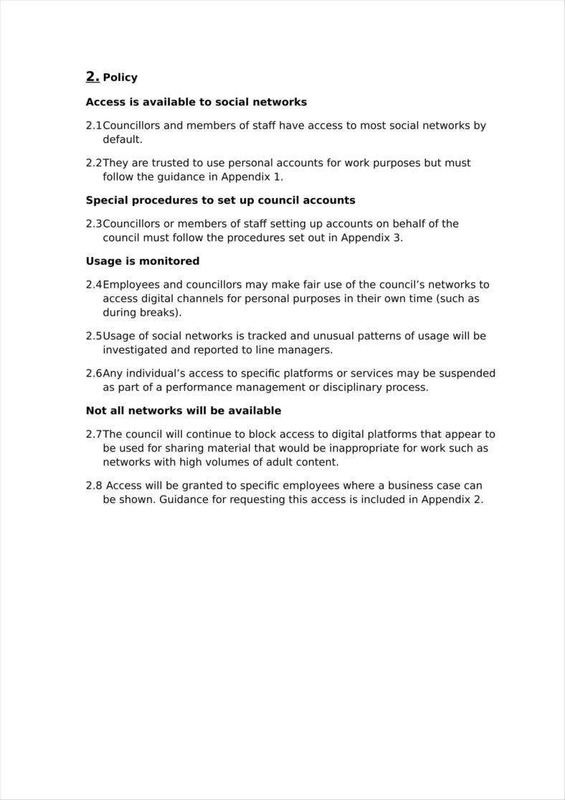 This section should be able to outline just who is responsible for specific social media governance tasks. You might want to break the table into two columns. The first column would contain and define the type of social media responsibility, while the second column would contain the person that would be in charge of governing it. This is to make sure that everyone knows who is responsible for what and to remind these people of their duties. Other social media roles and responsibilities would include message approval, employee training, social engagement, security and legal concerns, and even customer service. Potential legal risks. With this section, you can make sure that your employees are able to steer clear of any legal blunders. Your social media policy should also be able to provide clear guidelines regarding how an employee should handle any potential areas of concern. 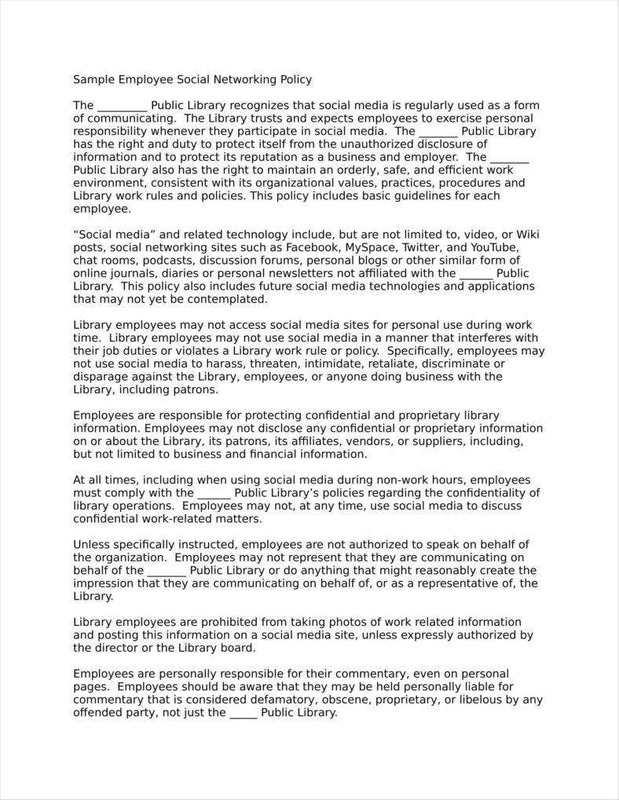 So make sure to do your research and while it may be a bit costly, you have to involve legal counsel when making this section of your social media policy. 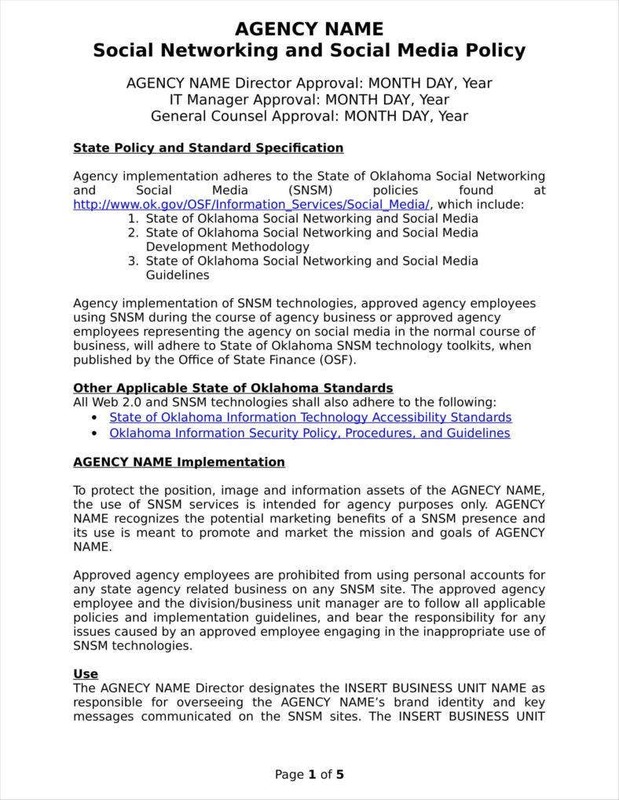 A couple of other topics that this section should cover would be regarding how an employee should provide disclaimers when commenting on content related to your company, knowing what information is shareable and non-shareable, and how to credit original sources if an employee borrows any content from an external source. Security risks. There is always a chance that a company will encounter a security risk that could endanger important business information. This is the reason why social media policies were created in order for companies to properly protect their online presence. By making employees aware of these threats, teaching how to avoid them, and by letting them know what to do should an attack occur, then a company should have little to nothing to worry about. A social media policy should also include how an employee should create a safe and secure password to ensure that nobody else but him or her may access certain business accounts. Accountability. At the end of the day, everyone is responsible for their own actions. So your policy should remind your employees how they’re supposed to exercise caution as well as use common sense when it comes to posting anything on the company’s behalf, or when they post about anything related to the company through their personal social media channels. If employees don’t show up for work, then a company wouldn’t be able to operate. So by having a clear attendance policy, you’ll be able to communicate with your employees the acceptable reasons they can give should they miss work, how leaves should be processed, and what the consequences are should the employee go beyond the number of allowed absences. 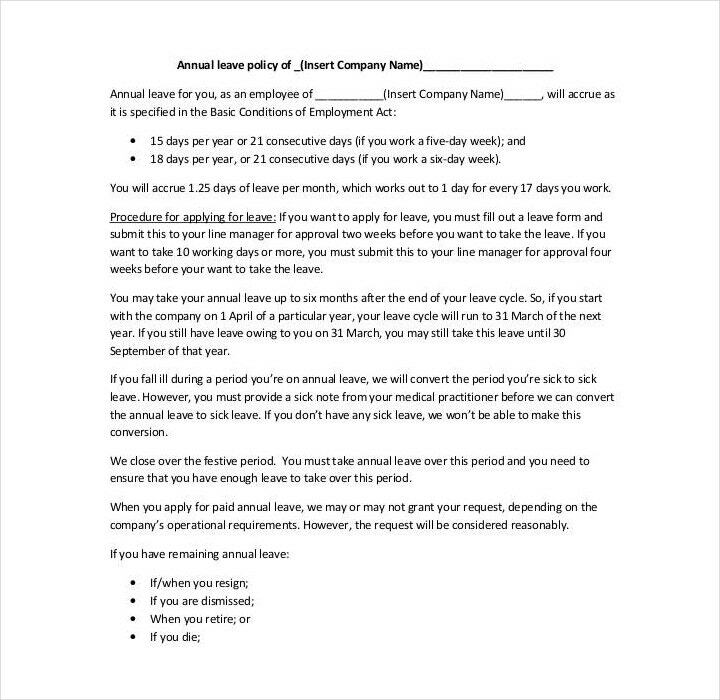 Basically, having this policy will help make sure that your employees show up for work, as well as let them know when the reason for their absences are excusable. The general tone. An attendance policy should be strict enough to allow employers to discipline those employees who have incurred more than enough absences to cause problems within the workplace. However, it should also be flexible enough wherein the employer doesn’t have to terminate those employees who are absent frequently, but have done more than their fair share of work. Morale. By rewarding your employees for good attendance, you can ensure that you uplift their morale. Doing so can ultimately lead to improving overall attendance, as well as possibly increasing employee performance. Interaction with unemployment compensation. With a reasonable and enforced attendance policy, it can be used as a good defense against unemployment compensation claims if an employee can prove that the employee has failed to abide by the company’s attendance policy. With a good policy, then you can guarantee that it’s a good defense against any employee who makes claim for unemployment compensation in the event that he or she is terminated for excessive absenteeism. 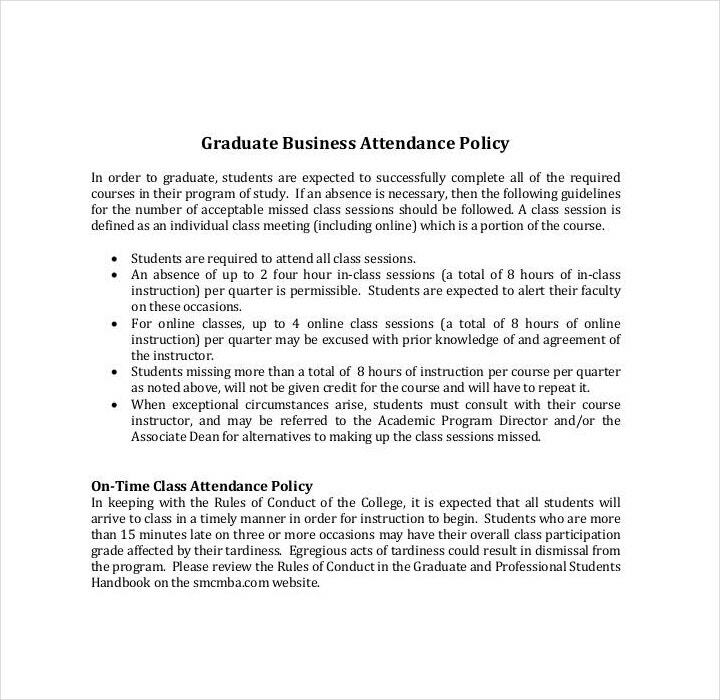 However, one must make sure that the attendance policy is both reasonable, uniformly enforced, and in writing. Family and medical leave absences. This makes sure that the employee knows the procedure in the event that he or she is required to be absent due to family-related issues, or due to personal medical-related purposes. So these procedures would require the employee to submit a proper medical certificate, and employers should be mindful when it comes to enforcing this policy. What is a travel policy? With the help of a travel policy, you can make sure that your company is able to manage all of its travels as well as its travel expenses. 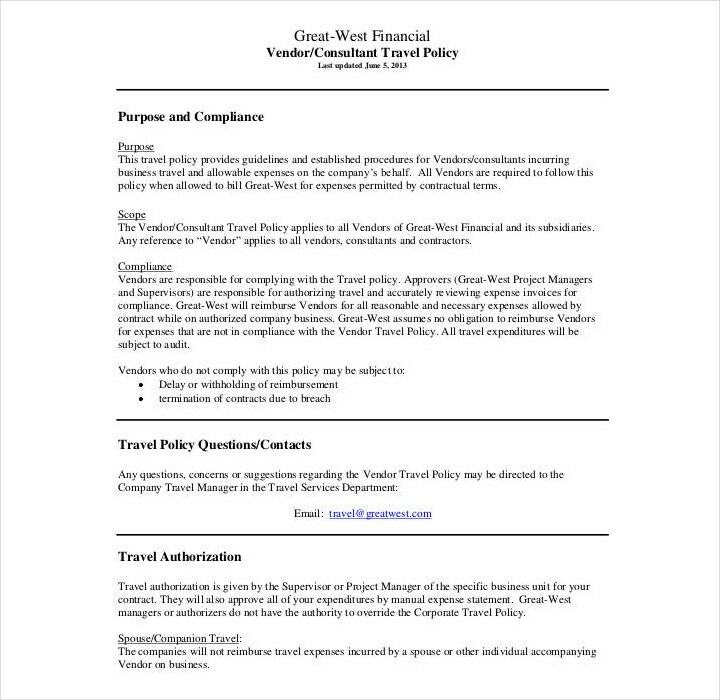 While there may not exactly be one policy that can work for every type of organization, there are tons of different travel policies that you can choose or make that can perfectly fit the needs of your company. Plus, it will also make sure that your employees will know just how much of their company’s money they should spend, as well as the only things that they can spend it on. Cost control. While a good travel policy can protect your employees from going beyond the approved company budget, it can also help encourage saving money. This can be done by choosing better options for hotels and flight bookings, as well as knowing the most cost-efficient method of transportation during the business trip. Employee satisfaction. Employees who are about to go on business trips want the right amount of guidance from their company policy. If you don’t have any defined rules, this can leave your employees confused. However, having too many rules regarding business travel will just end up being counterproductive. By giving more employees more work during booking, and giving them little to no comfortable and convenient options, then it will just end up causing issues for them. So with a well-defined travel policy, you can ensure that employee satisfaction when it comes to business travels will be at an all-time high. Reporting. 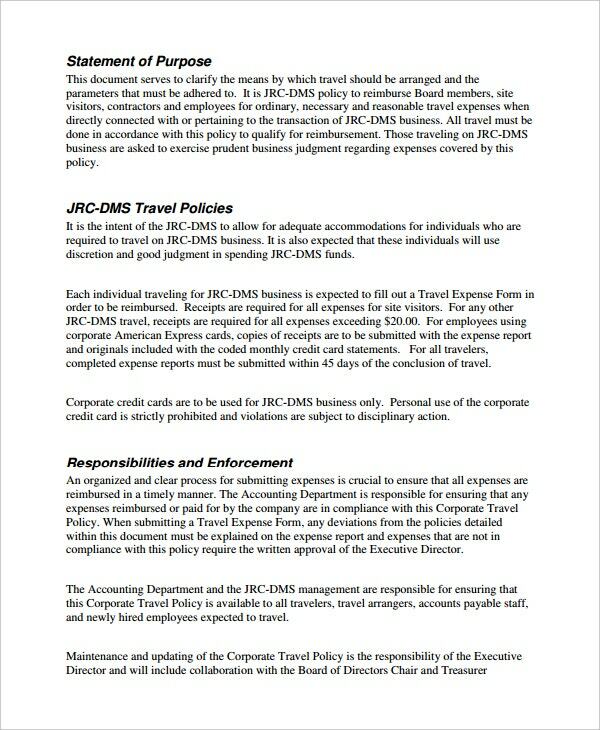 Having expense reports regarding company travels can come in very handy. 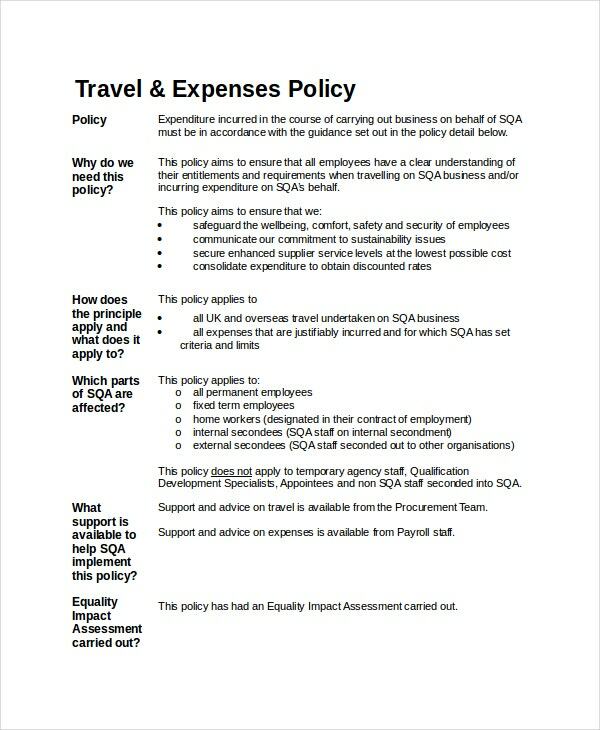 Because a company’s travel policy determines how employees would book and submit their expenses, it would have a huge effect on whether or not these expenses remain visible. Who – Identifying which employees are responsible for the majority of company business trips will help you engage with the right people and drive their compliance. 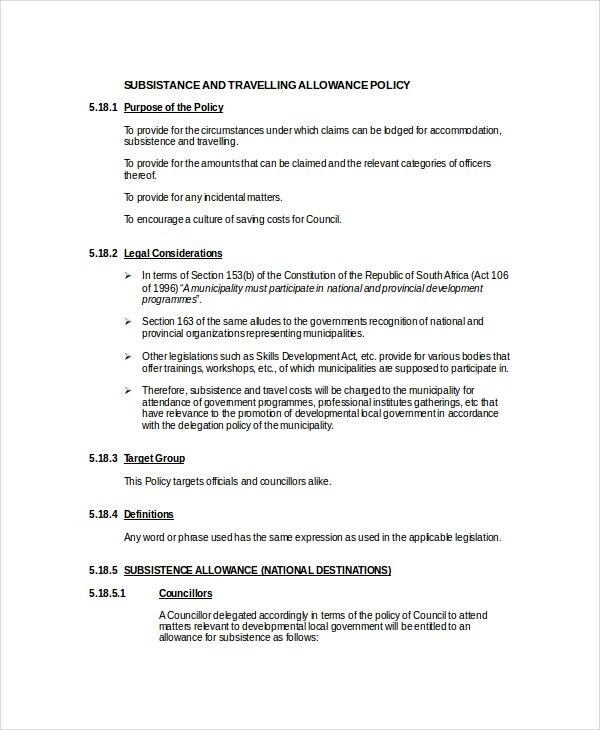 It’s also necessary that your travel policy will feature spending guidelines by either the department, office, or the employee level. What – By knowing the “what” of your company’s travel spending, it will mean that you have the potential to know what is the best opportunity for saving company funds. 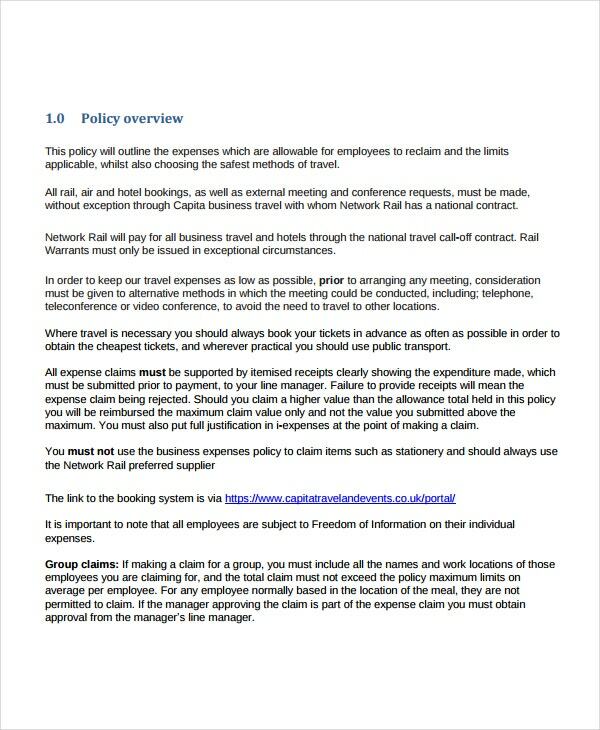 It will help you know which hotels employees should be choosing, if the employees should be flying coach or business, if the employees are going to make use of economy sharing services such as Uber or Airbnb, and if all of these should be covered in your travel policy. Where – You should know that the prices of flight bookings and hotels can vary. So headline expense trends might be the result of a change in itinerary composition rather than employees spending more or less during company travels. When – Last minute travels are usually unavoidable and at the same time expensive. 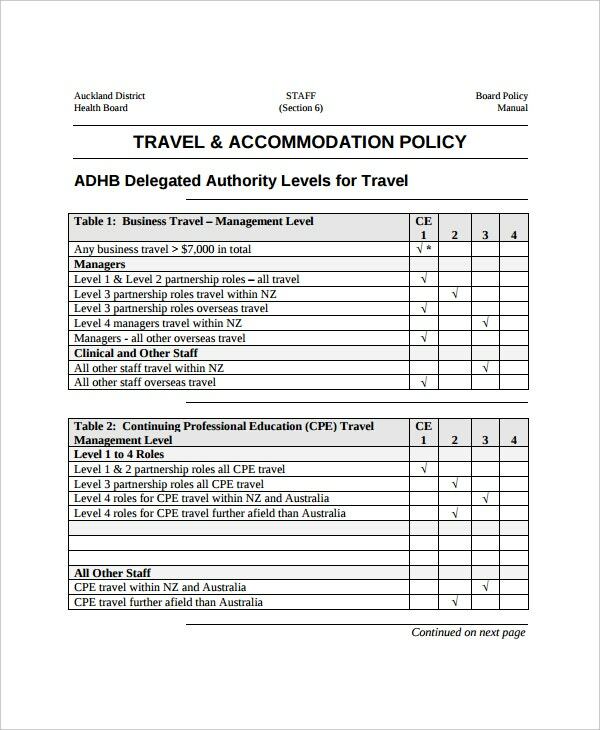 If your employees have a habit of waiting until the date comes close before they book their trip, your updated travel policy should be designed in a way that it encourages your employees to purchase them in advance. Having a good return policy will inspire confidence in your buyers and it will show that you are committed to customer service. Because even if the customer isn’t satisfied with the returned purchase, if you’re able to handle it professionally, it will ensure that these customers remain loyal to your business. Plus, a comprehensive return policy will reduce the time and money that your company spends on returns, minimize the number of these returns, and ensure that your customers keep coming back. You have to remember that all sales are not final. 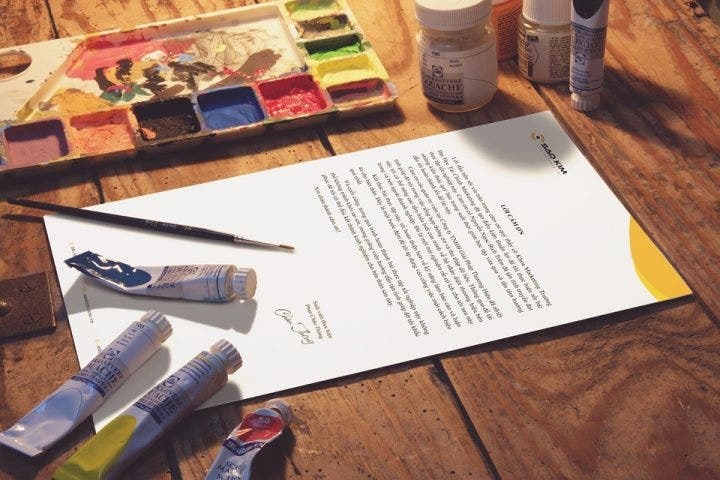 You should stand by your company’s product, and if the customer doesn’t enjoy whatever he or she has purchased, then don’t make the return process difficult for them. The nature of the product (whether it’s damaged or not) will determine whether you should issue the customer a full-refund, partial refund, exchange, or perhaps even no return at all. There will always be those customers that will be disappointed with a product that was purchased. You can minimize disappointment by creating accurate product descriptions and by having proper product photography. So let’s say that the products that you’re selling have informative descriptions as well as proper product pictures, then you can guarantee that your company will greatly reduce the number of the returns. Make sure that your return policy is written in simple english. Your policy shouldn’t go crazy with complicated legal jargon. Making use of complex legal jargon that can only be deciphered by having a legal consultant will just end up with your customers being confused. You have to ensure that your company’s return policy has terms that everyone can understand easily. Make sure that your return policy is easy to find. You can post your policies on your business’ website, on customer correspondence, on receipts, or even on the product’s package so that your customers will have every opportunity to view your company’s return policy. Be sure that there are no hidden costs. Nothing is worse then being surprised by hidden costs. You have to be really clear in the event that your customer has to pay for something like return shipping fees. So nothing should be hidden and everything must be explained in your company’s return policy. It’s normal that your return policy has a specific time frame in which your company can accept returns. You wouldn’t want to accept returns a year after the product was purchased now, would you? Tell your customers that if they’re going to return a product, then they must do it within 30, 60, or 90 days. You also have to make sure your policy has a separate time frame for damaged or malfunctioning products. 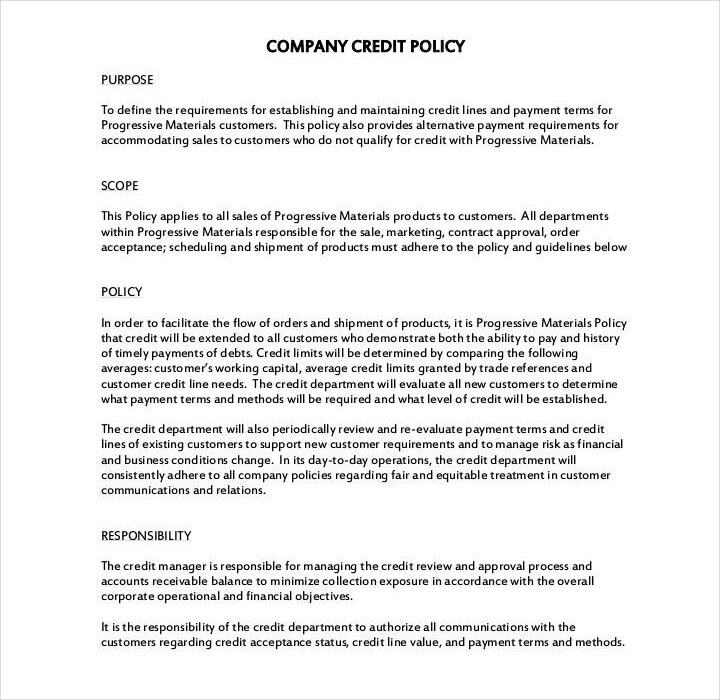 Your policy has to state whether the customer is able to exchange the item, receive store credit, or can enjoy a cash return. Every company has their own preference, and you can choose which option is best for your particular business. However, in the event of a damaged item, then the customer shouldn’t be responsible for paying extra. You have to make every effort to replace the item, or give a full refund without the customer incurring any kind of cost. Your company has to have knowledgeable staff. You have to ensure that all of the staff members are up to date with your company’s return policy return procedures so that they are able to efficiently handle customer returns. If the product that your customer is returning is something that he or she has assembled, then you have to check that the customer was able to do it properly. You have to do this before deeming it damaged. Your policies and procedures will depend entirely on the goals of your business. 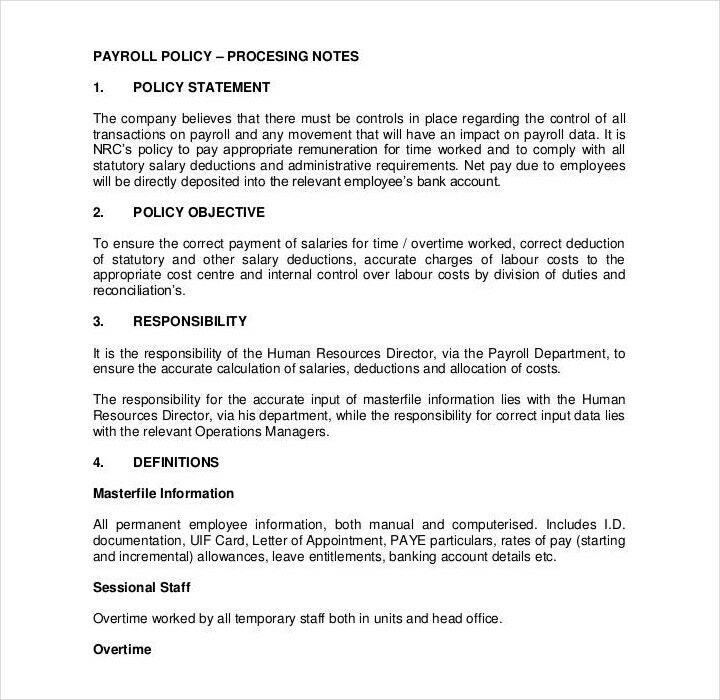 So here are the steps that should help you make policies and procedures that best suit your company. Make a list of your company’s goals. If you’re a manager or a business owner, then you would know the best goals of your company. You have to consider your company’s sales goals, employee goals and management, and where you would like to see your business in the future. You have to ensure that your company’s goals aren’t just specific, but also attainable. So these goals must set employee performance results that are achievable by following the policies and procedures. Write down the list of tasks and procedures of your business. Think about the day-to-day happenings and duties of your business. You have to write down each task that needs to be done every day so that your business runs smoothly. You also have to consider things like what will need formal outlining or directions, which procedures need to be consistent, and which menial tasks won’t need much instruction. Create a list of the possible problems as well as their potential solutions. Policies exist to make sure that a business keeps running smoothly, and to make sure that employees and managers meet with the company’s expectations. Think about all of the problems that your business could encounter if there are no policies. With this, it should help you come up with the policies that your business needs. While thinking of these potential issues, then you can come up with the different ideas as to how you might solve or correct them. Think of the issues that surround your business’s day-to-day functions such as financial problems, interaction between employees and customers, and even employee behavior and conduct. Make a list of policies and categorize them. After you have determined the different issues that you would like your company’s policies to address, then you need to come up with the categories for them. You can make use of categories such as safety, vacation or leave, conduct, pay, benefits, and discrimination. When it comes to compiling your employee manual, having your policies separated into different categories will help you organize the manual as well as keep these sections together. It can also help you decide what issue is most important to address, as well as be able to address those issues in detail. 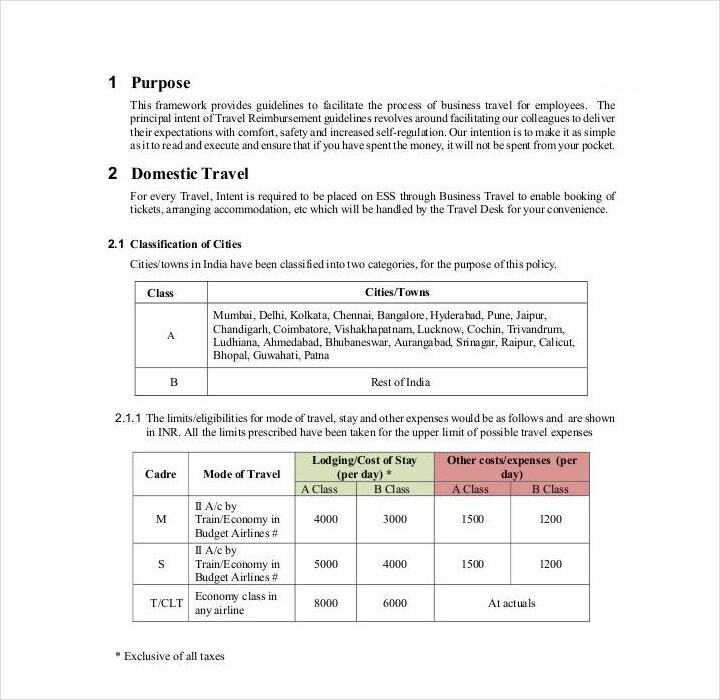 Use an outline format to detail the different policies under each category. 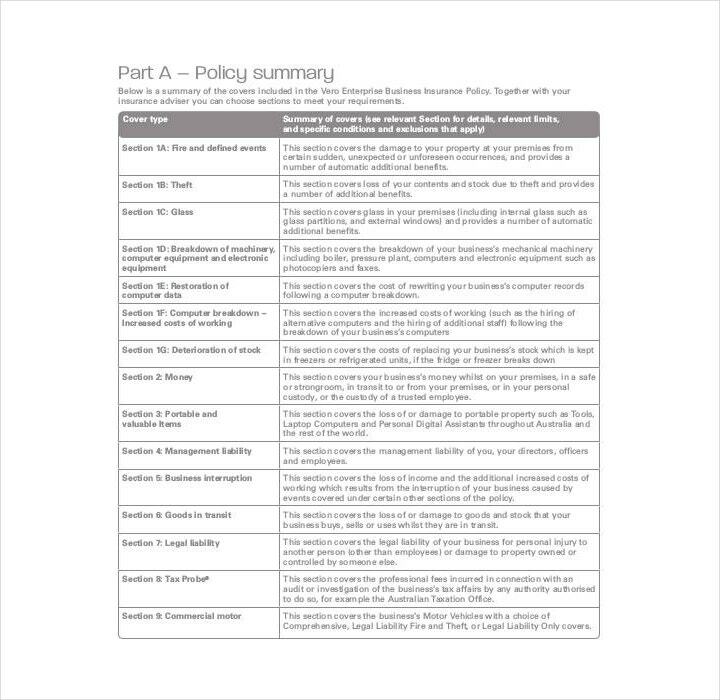 With an outline, you’ll be able to explore deeper aspects of every policy and category. It can also allow you to add in speculations and specifics as you go. You can use numbers to order each section on every category. First, start with a brief shorthanded outline. Then after you have gone through all of your listed ideas, you can go back to each section and lengthen them accordingly. Come up with appropriate consequences if an employee were to break company policy. 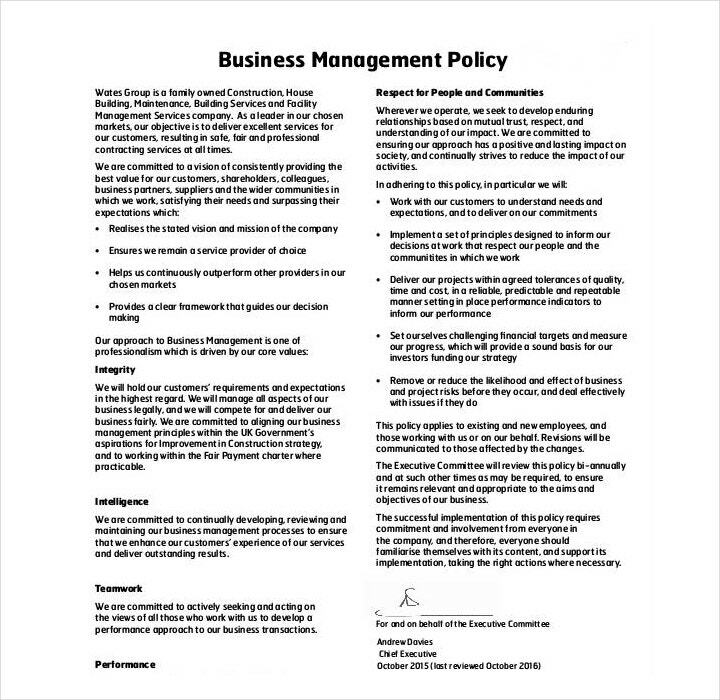 The policy will serve as a document that outlines how to handle situations when a company policy has been broken. This is especially important as the policy can tell what action needs to be taken in the event that it is required. 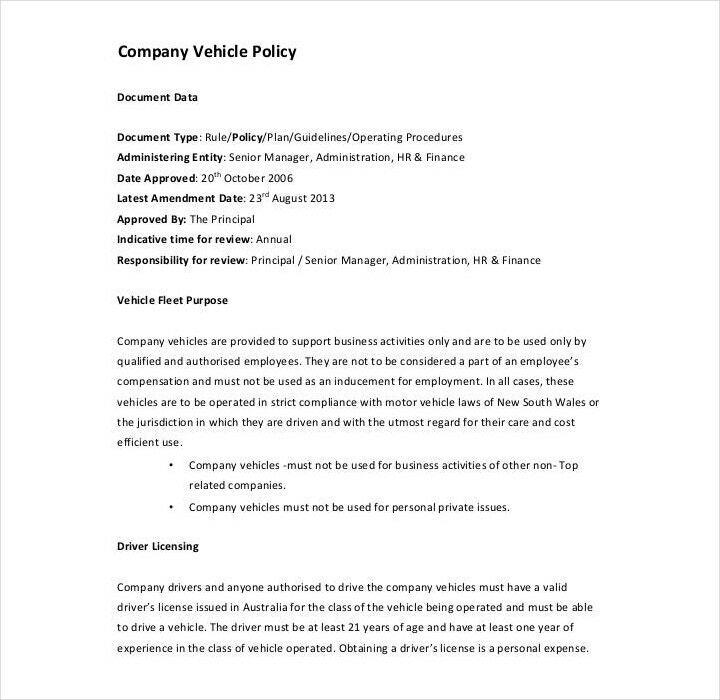 Policies, when written in a legal document, outline any legal rights and obligations of both employees and the company. That means you’re going to have to place information on applicable federal and state laws when you’re creating your company’s policies. Have clear policies when it comes to the subject of termination. When the moment comes wherein you have to fire an employee for reasons such as bad office behavior or performance, the written policy can serve as evidence in the event that the employee argues or files a case that he or she was terminated unfairly. Make sure you have a section in your company’s policy regarding employee termination should it become an issue. Have clear policies regarding hiring employees. You’ll have to include things such as requiring managers to do background checks before accepting applicants for employment or having a probationary period for new hires to see if they’re fit for the job. You have to be sure that these are explained clearly as the future of your company depends on the type of employees that you work with. Make use of clear, active language. You have to write all of your policies in a way that they cannot be misunderstood or misinterpreted. If there are any policies that can be misinterpreted in any way, then you’re going to have to rewrite them to ensure that they only mean one thing. Because there might be cases wherein employees will get confused due to a policy having multiple meanings, which will eventually just lead to more company problems. 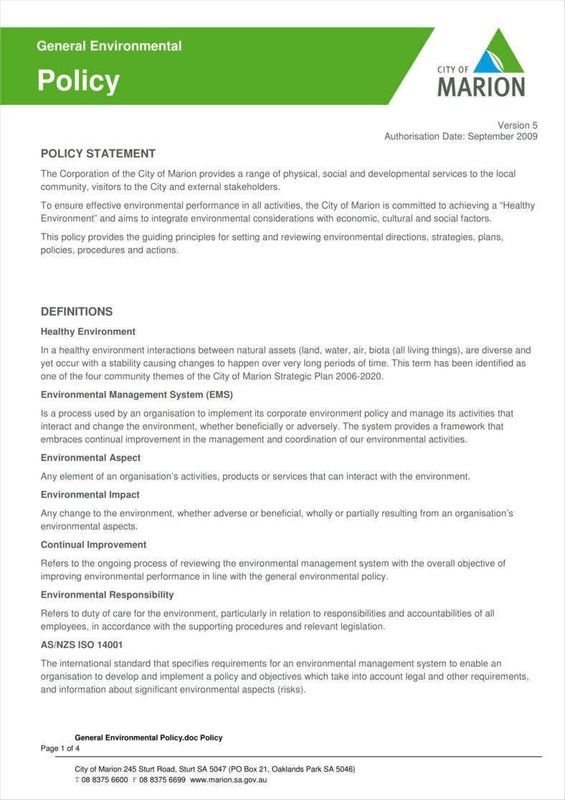 As said before, the point of these policies and procedures are to ensure that a business runs smoothly as well as maintain order for both employees and employers. So if you would like to learn more about policies, as well as learn the guidelines on how to use policy templates, then you can check out our other available articles on our site.